The Train Car is available for private parties of up to 30 Guests or open seating. 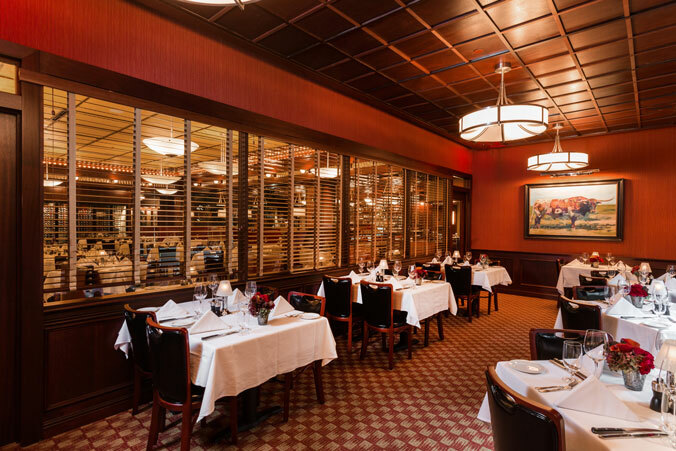 Overlooking the Main Dining Room, the Train Car Room is perfect for business dinners. The Side Car can accommodate up to 12 Guests and offers an intimate atmosphere to celebrate any special occasion. The Dining Car offers our Guests the opportunity to dine in a beautiful room filled with vintage wines from our award-winning collection and provides an intimate dining experience. It is available for private parties of up to 60 guests or open seating. 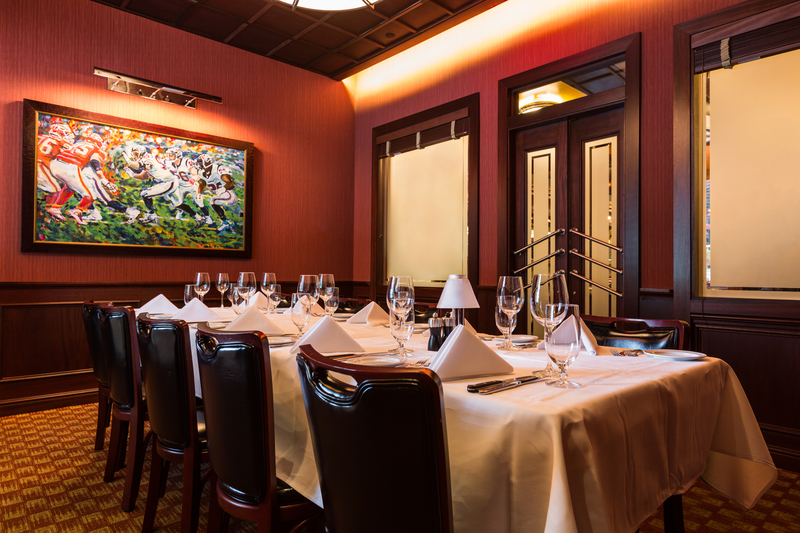 Experience the height of elegance and enjoy a memorable event in our most exquisite private dining room. 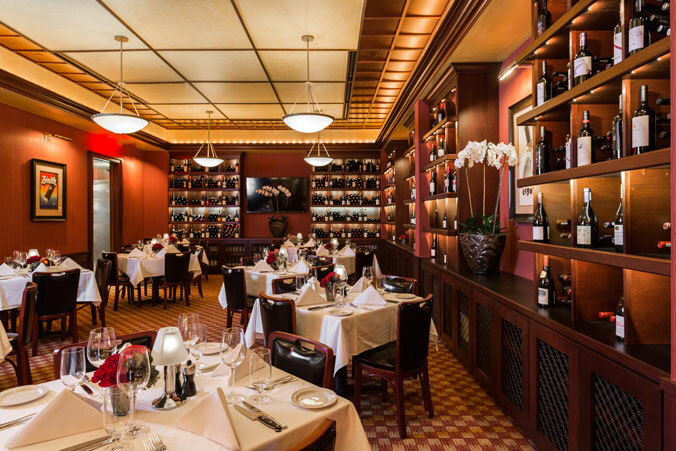 The Wine Room offers an intimate atmosphere created to impress. 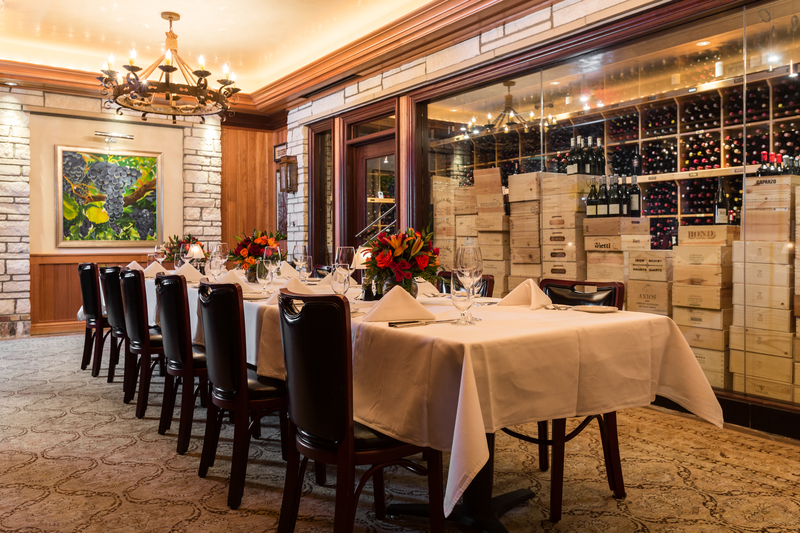 Serving also as a working wine cellar, the Wine Room can accommodate up to 22 guests. 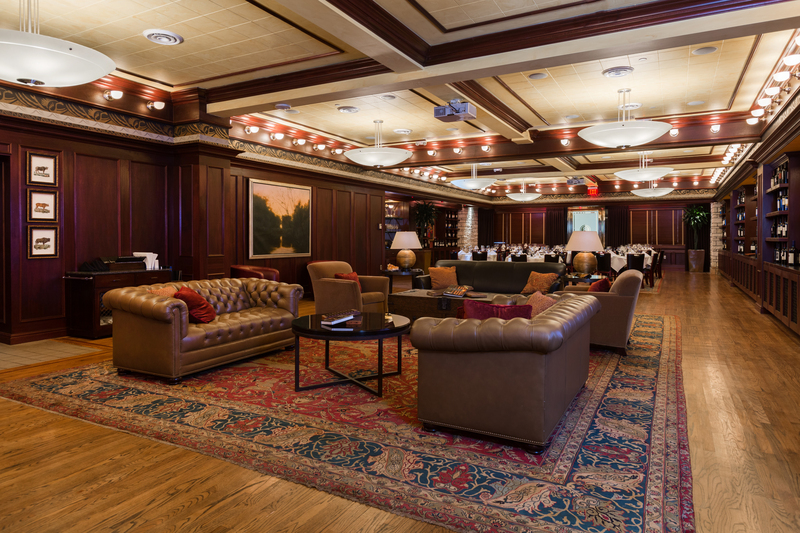 The Lounge is a distinguished space that can accommodate up to as many as 144 Guests. Dark leather couches, cabinets and shelves filled with vintage wines from our award-wining collection add a warm and elegant atmosphere. With its versatile size, The Lounge has plenty of room for Guests to mingle and enjoy cocktails before dinner. The room can be set with long or round tables and the plasma media screen makes it perfect for any type of presentation.